Last month, Lonely Planet published two gorgeous new books that will both inspire you and decorate your coffee table. When I think of Lonely Planet, I think of travel guides that you take along on your travels. But these new books will instead plant the seed for future adventure. Great travel books include magnificent photography that evokes emotion and paints a scene. These books definitely succeed there. 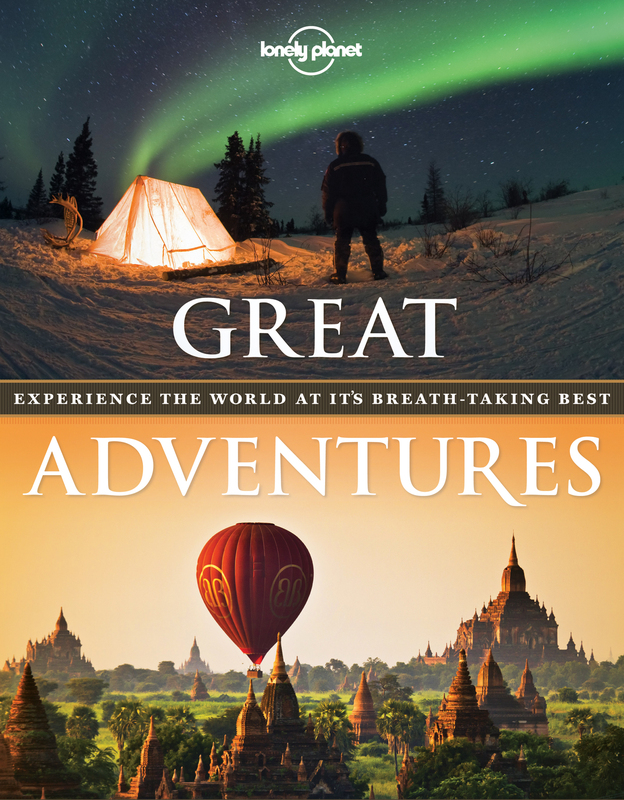 Lonely Planet‘s Great Adventures divides up adventurous travel into nine chapters: Hike, Dive, Bike, Above & Below, Climb, Ice & Snow, Animals, Water, and Drive. If you’re anything like me, this variety will fill two needs — one, to give you ideas of where to travel, and two, to show you beautiful places that you’ll never manage to or want to travel to yourself. Each included adventure, such as hiking in New Zealand’s Milford Sound or cycling through Vietnam, includes valuable information on how to undertake that adventure yourself. So while this is a fantastic coffee table book, it is also still a bit of a guide book, suggesting Essential Experiences for each adventure, giving specific details (such as the best time of year to undertake the trip, how long it should take, distance and elevation, and other tips), and ways to experience a similar adventure from the comfort of your favorite armchair by reading. History, science, and cultural information are also included for background, along with a section called The Adventure Unfolds, which describes what you would/will experience if you take the trip. An Alternative Challenge is also included for each adventure. Great Adventures retails for $39.99. I recommend it to anyone who loves adventurous travel, in mind or in body. It is a follow-up book to last year’s Great Journeys , which I now have to check out. 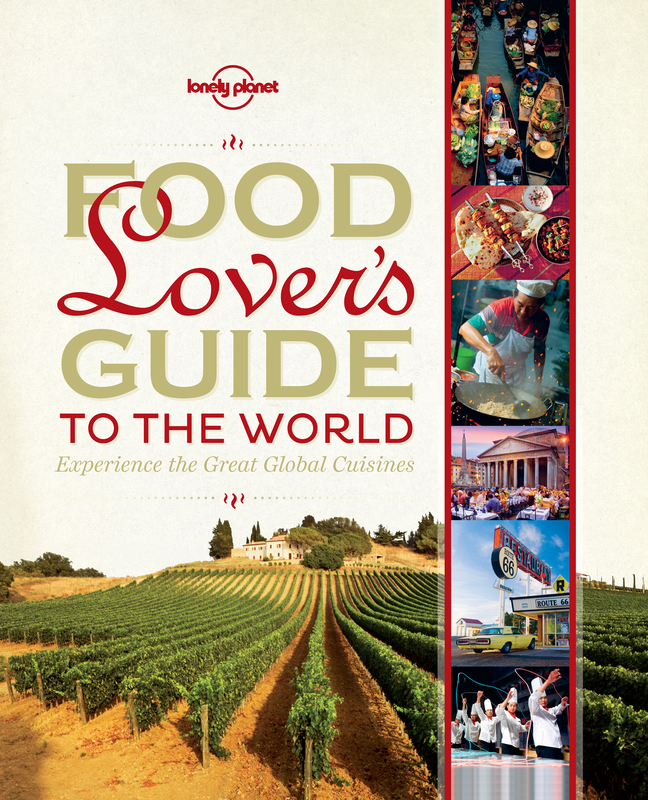 Lonely Planet’s second new book, Food Lover’s Guide to the World , takes us on a voyage around the world through the scents, tastes, and colors of the world’s food. With each new place, the book talks about the history and context of the food and the culture in which it was created. Many recipes and recommendations of where to eat are also included. As with the other book, and all Lonely Planet books, the photography is gorgeous and will make you drool over the food and locations. The book’s title is apt, as the book is broken up into countries and regions, and specific sections on things like cheese, chocolate, coffee, breakfasts, and food markets. You may find that you can’t look through the book for very long at one sitting, since it just makes you want to cook or go out to eat. I’m about ready to go buy ingredients for fondue myself. Nom. Food Lover’s Guide to the World also retails for $39.99. It truly takes you on a journey around the world’s classic eats, and I recommend it to lovers of international food. Hint: Both of these large, hardback books would make great holiday gifts for the traveler on your list. Note: I received these books for the purposes of this review.